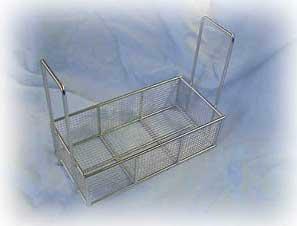 Bulk Stainless Baskets - EnviroSense, Inc. Bulk stainless baskets. 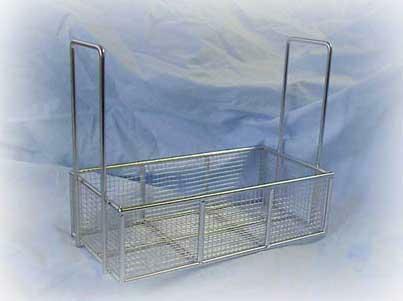 These baskets are designed to be used in most cleaning systems. Baskets are constructed with 1/4" diameter rod with #4 or #2 mesh. Each basket is buffed and electropolished to enhance its corrosive resistance.